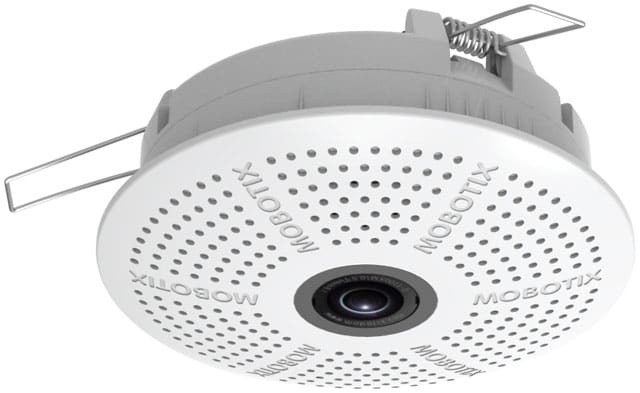 The c26 is the smallest Mobotix 6MP hemispheric camera and comes with three clamps for easy installation in suspended ceilings like a halogen downlight. Alternatively equipped with a telephoto lens and mounted above a cash box the c26 will provide a very detailed video of the content and allows even reading the serial numbers of the bank notes. 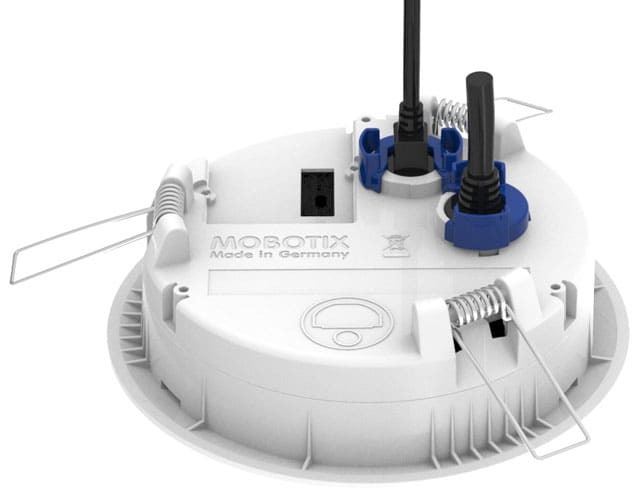 With a diameter of only 12 centimeters/4.7 inches and a weight of approximately 200 grams, the c26 is the smallest and lightest Hemispheric MOBOTIX video complete system yet for ceiling mounting indoors (protection class IP20, 0 to 40 °C/32 to 104 °F). Standard features include a light-sensitive day or night sensor with 6MP Moonlight Technology, a microSD memory card and the latest camera software including MxActivitySensor and the MxAnalytics video analysis tools (person and object counting, heat map display of high-traffic areas). The integrated 6MP Moonlight Technology facilitates high-contrast images without motion blur, even in poorly illuminated areas.